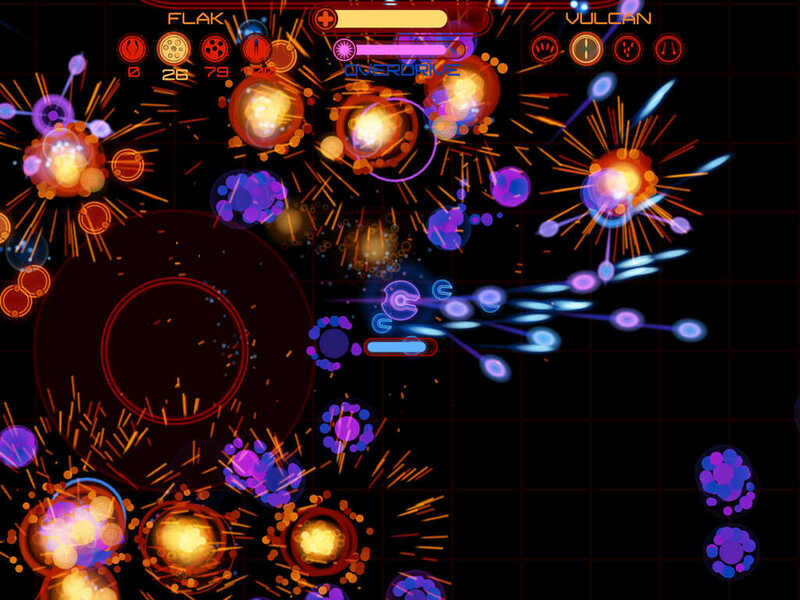 While I’m not a huge fan of twin stick shooters with touch controls, there are exceptions. Maybe Inferno 2 is among them, maybe it isn’t, but if the game is anything like the first, I’d place it in must-buy territory. Twin stick shooters are rarely, if ever, as colorful or fun as Inferno+ after all, and the dungeon crawler elements? Icing on an already delicious cake. To say that I’ve been anticipating this release for the longest time would not be an understatement, seeing how my Inferno+ review was published way back in mid-2012. Not that the game has been in the making since then, mind you, but you know how it is when a game is so good, that you just want more… and more… and more. If you haven’t played the original yet, you really should. Just in case, here’s the links – pick yer poison and get to blastin’: Windows, Mac – iOS – Android. Inferno 2 boasts even more devious levels, more weapons, more upgrades and powers, more enemies, and more customization, along with more insane explosions and particle effects. Anyway, as for the sequel [Inferno 2], I’d say it’s almost like Luke Schneider (aka. Radiangames) went all in, to make something bigger, bolder and better than its precursor: more than twice as many levels (80+ compared to 40), over 50 enemy types, brand new level type/designs and objectives, lots of secrets, and of course, “an all-new arsenal of weapons and extensive upgrade system”. Sounds like Inferno 2 is a game with proper staying power, eh? Let’s hope so! Now, since I played the original on my PC, needless to say, fingers have been crossed for a port, ever since the original announcement. Seems that might become a thing… eventually, under the name Inferno 2X. The only platforms that the game will be arriving on however, are Android and Windows Phone 8, while Xbox One, PlayStation 4, PlayStation Vita and Steam (Windows for sure, but Mac? Linux?) are all maybe’s. Patience is a virtue. Inferno 2 is available for iPhone and iPad (iTunes, universal), where it carries a $2.99 price tag.